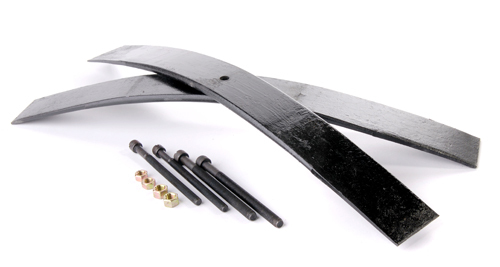 Add-A-Leaf Spring Kit for Ford Super Duty F250 & F350. Leafs measure about 46" long x 3" wide. Adds 1000 LBS Weight Capacity. Average Lift 2 Inches. Lift depends on the condition of leaf pack. Tech Support at (801) 395-2134.